Patients with a serious heart condition want the best treatment. Thing is, it’s not always easy to figure out where to get it. When faced with a choice, many patients assume that bigger health systems deliver better outcomes. But that’s not always true. In Ellis Medicine’s case, they aren’t the largest in their market, but they are the best in cardiac readmissions, a key quality metric. In fact, Ellis Medicine has the best cardiac readmissions in New York State. 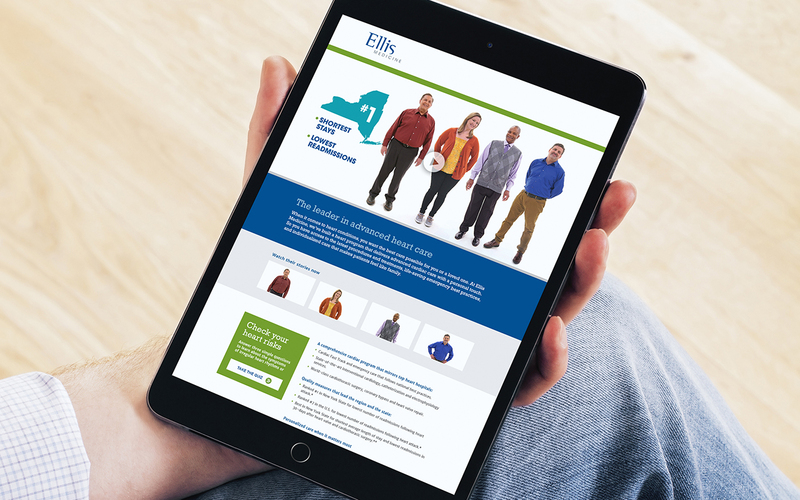 To get the word out, Ellis charged us to develop a compelling campaign. 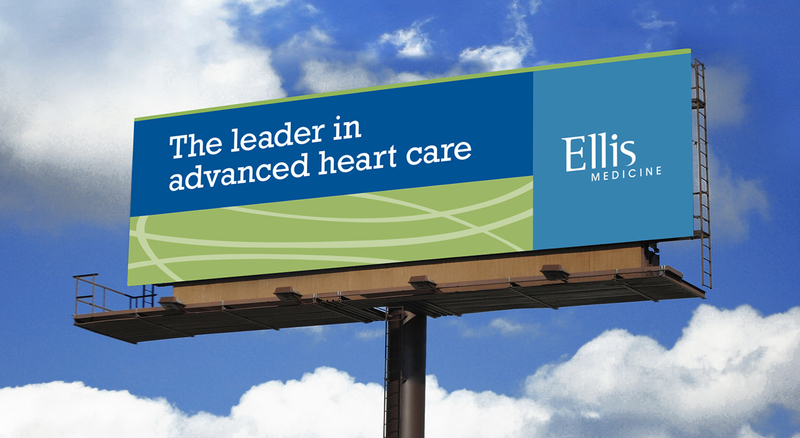 A year prior to this campaign, we had worked with Ellis to position their cardiology team as the new leader in advanced heart care. It was a big, bold statement, and we knew it would take time and effort to prove it. In the months that followed, Ellis’ cardiac services gained more and more recognition from the medical community, culminating in the announcement that they had the 7th best cardiac readmission rate in the country, and the best in New York State. It was the perfect proof-point to back up our position. Healthcare providers have hundreds of metrics to monitor, and love to tout them when they can. But Smith & Jones knows that patients often don’t respond to statistics, especially without proper context. We had to make advertising that lived up to Ellis reputation for advertising that drives results, while touting our achievements in hard numbers. To do it, our creative approach starts from the patients point of view and focuses on the outstanding experiences they had at Ellis. Then, we kept the camera rolling as we told patients of Ellis’ recent achievements. It captured genuine moments of delight as patients realized that they had, indeed, chosen the right place to seek advanced heart care.